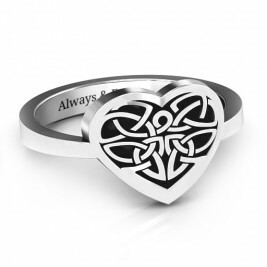 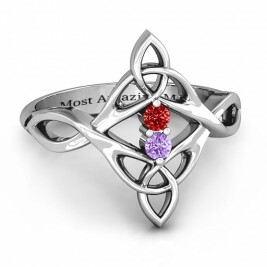 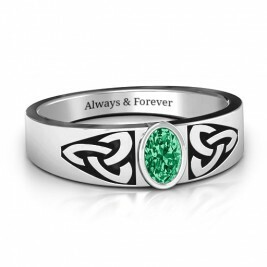 Main Stone: One 4mm x 4mm Heart Cut Stone Max Ring Width: 8mm Min Band Width: 1.8mm Max Band Width: 2.8mm.This dazzling Celtic design is the perfect way to add a touch of Irish charm to your everyday style. 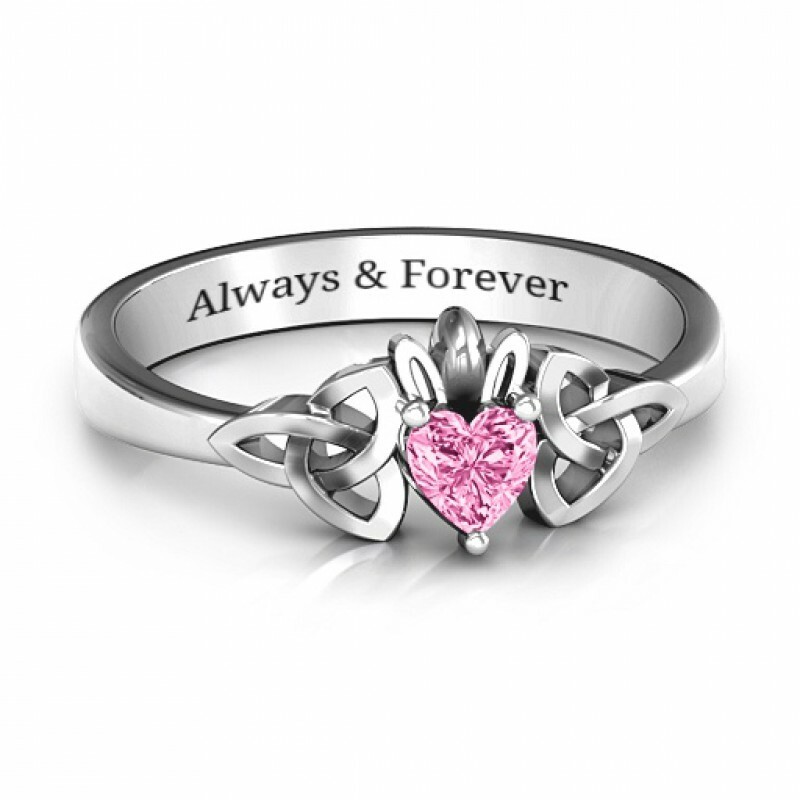 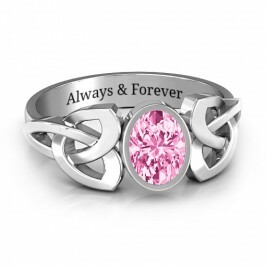 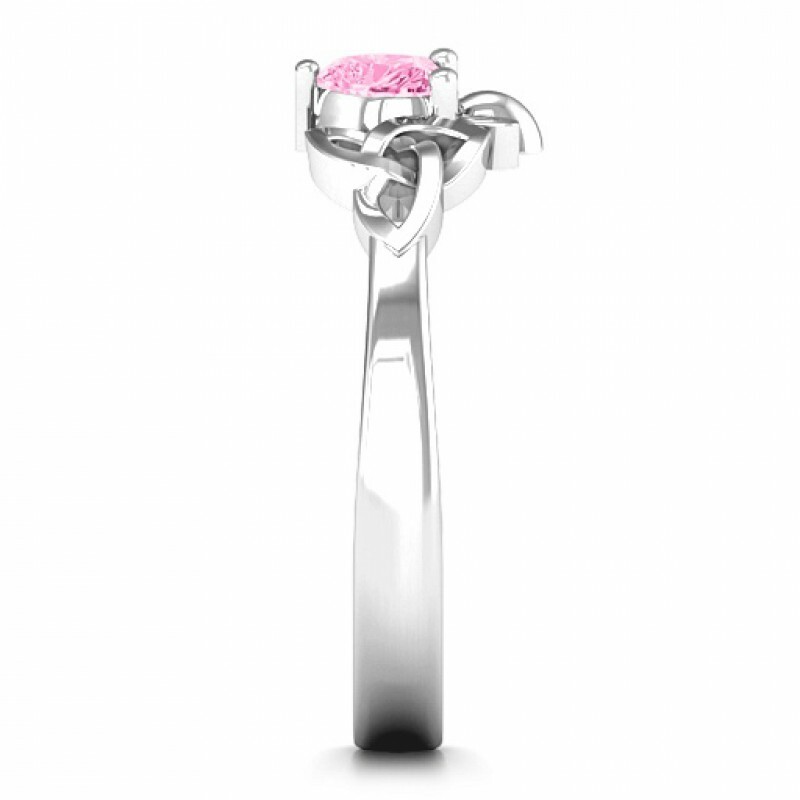 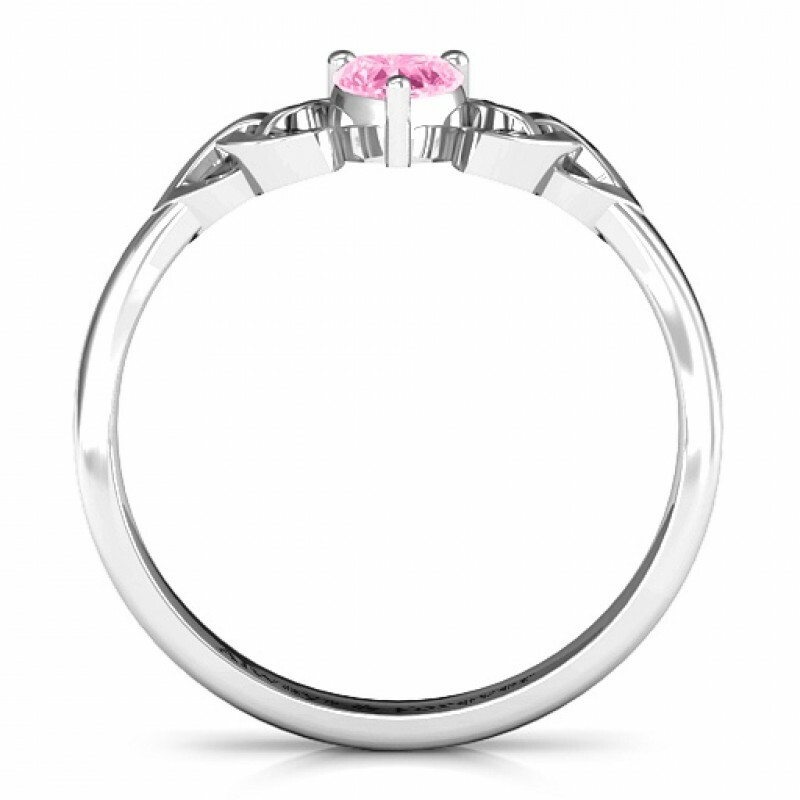 The ring features a sleek band with two trinity knots framing a heart-shaped gemstone in the centre. 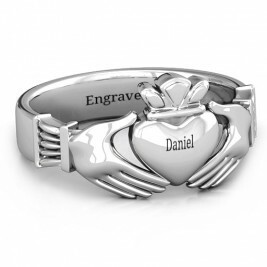 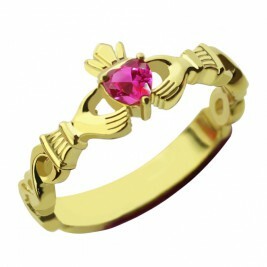 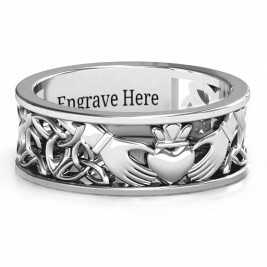 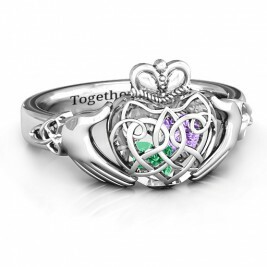 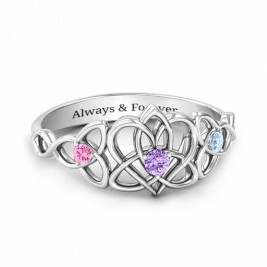 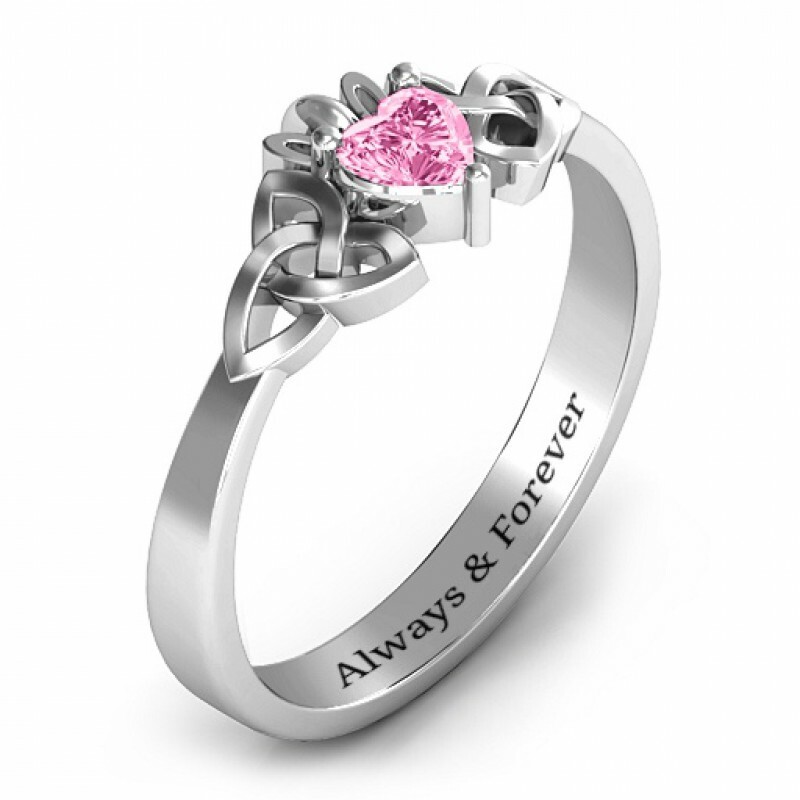 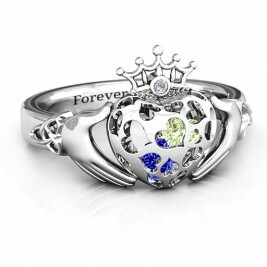 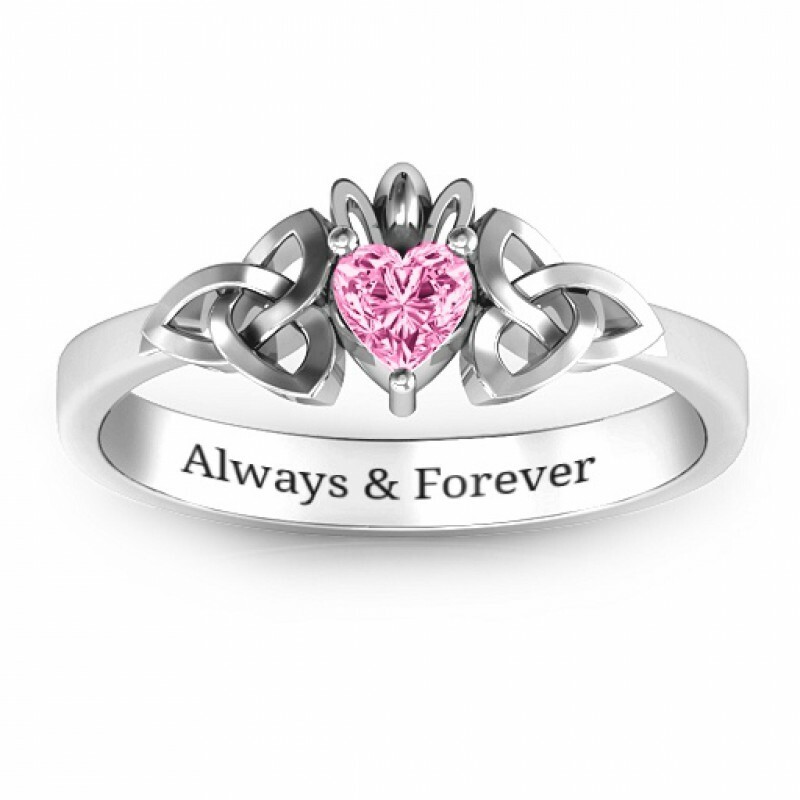 With a charming crown on top of the heart, this ring is like a modern take on the popular Celtic Claddagh design!